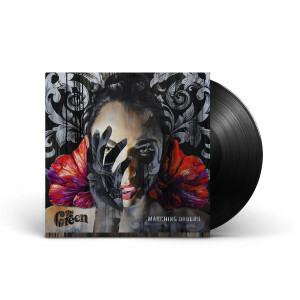 The Green’s amazing new album on glorious vinyl. Includes a download card with MP3s of the full album sequence. The Green returns with their first full-length release since 2013's award-winning Hawai'i '13. After years of touring to support that release, the band focused on making their next record with some longtime musical partners, including producers Leslie Ludiazo (J Boog, Hot Rain) and Christian Mochizuki (Justin Bieber, Kanye West, Jay-Z). The band also solicited Songwriter/Producer Brian Fennell (Ryan Tedder, One Republic, The Fray, Third Eye Blind) to help explore some new elements in their sound. The new release has an amazing mix of pop-influenced lovers rock along with The Green's patented island-influenced reggae. Guests include Jamaican dancehall superstar Busy Signal, Grammy-nominees J Boog and Rebelution's Eric Rachmany, as well as Island music veterans Fiji and The Mana'o Company. Love the new album. Can't wait to get more of your back catalog on vinyl.